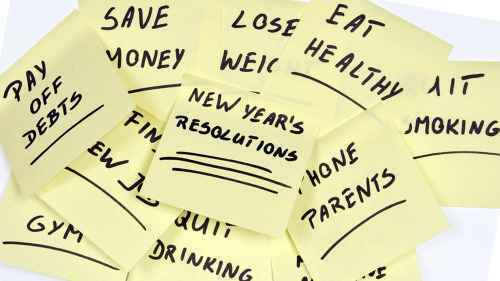 The top New Year’s resolutions every year are to stay fit and healthy, lose weight, curb spending and save more, and spend more time with family and friends. Noble pursuits, for sure, but what does your home need to do to get a bit of love and attention?? Taking up a new hobby for personal development is all very good and well, but this list will help keep your home plumbing well maintained for the year ahead. Here are 5 New Year’s Plumbing Resolutions for you! Never flush paper towels, sanitary products or wet wipes, even those that are labelled “flushable” down a toilet. We’ve all seen the news reports about the “fatbergs” in our sewerage systems that cost councils millions of dollars in repair works (if you haven’t, Google it – it’s terrifying!). A simple solution? Have a small bin in every bathroom. This will help to prevent blockages in your sewer lines. And a good rule of thumb to live by is to never flush anything that you haven’t eaten. You get the picture. Don’t sleep with a drip this year. Seriously! Ignoring a leaking tap will only play out like water torture, keeping you awake at night and driving you crazy. Worse still, it’s an aboslute waste of water and completely fixable. Leaking taps won’t magically fix themselves and over-tightening them will cause more damage in the long run. This one applies to everyone – the budding MasterChefs and the reluctanct “I-only-cook-because-I-have-to” chefs. Baking, frying and roasting usually means delicious meals, but also excess cooking oils, grease and fats that need disposal. Don’t pour them down a drain – even small amounts of grease can cause a problem with clogging your drains. Let the fats and oils cool in a sealed container and then put them in the garbage bin. Check taps, toilets, shower heads and other fixtures for leaks. Look inside the cabinets under sinks and around toilets for water damage. Leaks are one of the most common culprits for wasting water in any season. Even a small drip can waste up to 24,000 litres of water a year – and that’s literally throwing money down the drain! This is an important one! Wherever you are in Sydney, we encourage you to give us a call if you encounter any plumbing problems around your home or commercial premises. While it might be tempting to fix something yourself, don’t get in over your head with DIY that should best be left to the professionals. Save yourself the stress and the hassle, and let the experienced Bear team do it properly for you.